More of the Camel Rock 'N' Roll Party! Hard to believe all this talent was once on the same bill. 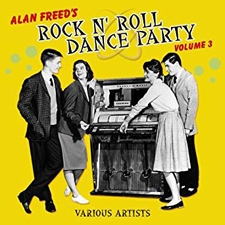 Little Anthony and the Imperials, The Drifters, Otis Williams and the Charms, The Cleftones, The Chordettes, Ivory Joe Hunter and Gene Vincent and the Blue Caps are heard LIVE as Alan Freed presents the Camel Rock 'n' Roll Dance Party on the Armed Forces Radio Television Service (AFRTS). 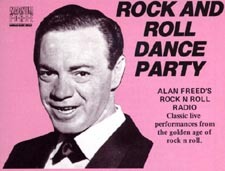 Enjoy Alan Freed with the Camel Rock 'n' Roll Dance Party here. "Open 24 hours a day, seven days a week, except during church hours." Back in the 1950s, a lot of radio stations weren't too sure about this newfangled thing called rock 'n' roll. So they played a lot of middle-of-the road hits, and the occasional rock 'n' roll song. And the deejays sounded like a carry-over from an earlier era. A good example is this very interesting aircheck, one of our favourites. It's Max Mace of WMRB 1490 in Greenville, South Carolina, July 1956, broadcasting live from the local A&W drive-in! 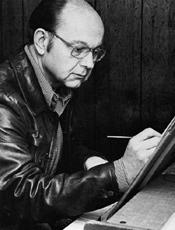 "Max Mace was born on May 29, 1929 in Greenville, S.C. He graduated from Greenville High School. He served in the US Air Force from 1949-1952. Max began his career at WFBC in the early 1950s, By the mid 50s Max went to work for WMRB where he used the “catch phrase” “This is Ma Mace’s mumbling mess, Max, coming to you from the beautiful, babbling banks of the Reedy River”. His program on WMRB went nationwide on Friday nights from 10:30PM - midnight. A small problem arose from that “catch phrase” when folks from all over the country began calling local hotels attempting to make reservations to stay on the “beautiful Reedy River”. In reality the Reedy River was not much more than a large polluted creek that actually carried waste water away from many of the area textile mills. Max spent most of his career in the country music market beginning in the early 1960s at WESC in Greenville and later at WAIM in Anderson. Max was actively involved as an announcer at most of the area race tracks. He spent every Saturday night, during the season, for over 30 years at the Greenville-Pickens Speedway beginning in the mid 1950s. He also spent every Friday night for almost 30 years at the Anderson Speedway as well. Several of those years coming well after his retirement from broadcasting. Max Mace was one of the lucky ones. He never wanted to do anything other than live radio. He was able to work in his hometown and able to work in broadcasting during an era that provided almost constant contact with listeners on and off-air. Max considered those people to be his personal friends and understood the “journalistic like responsibilities” that come with being an “on-air personality." Max passed away on Jan. 1, 2003." To hear Max Mace, click here. One of this aircheck's subjects went on to become a game-show TV star. The other? Well, he had a singing career of note. It was 1950 when Wink Martindale got his first radio gig - as a disc jockey at age 17 in his hometown of Jackson, Mississippi. He made $25 a week at WPLI. After jocking at a couple of other Jackson stations, he moved to WHBQ Memphis where he's heard below playing interview tapes with the then-rising star Elvis Presley in August 1956. 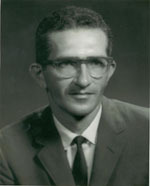 Martindale moved to Los Angeles in 1959 to work at KHJ (pre-Drake), followed by gigs at a string of other Los Angeles stations: KRLA, KFWB, KGIL, KKGO/KJQI, KMPC, KABC and KJQI. His radio career was overshadowed by his other gig - as a TV show host, on popular shows like Gambit, Tic-Tac-Dough, Bumper Stumpers and High Rollers. Martindale also had a hit record - the spoken-word "Deck of Cards." It went to #7 in 1959. As for the other guy, Elvis sold over a billion records - not bad for a guy who never received formal music training and could not read music. 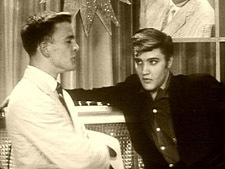 Hear Wink Martindale with Elvis Presley on WHBQ from August, 1956 here. Ahh, the '50s. The melodies were great, the lyrics were a joy and it all sounded so sweet together. No, we're not talking about the music (though we could be). This is about the jingles! Jingles were such an important part in the Top 40 presentation over the years, and especially so in the 1950s. In some cases, they were like mini-songs, and as you'll hear, very well-written and produced. What is have is a collection of CRC (Commercial Recording Corp.) jingles from the 1950s. CRC - one of the leading jingle companies of its time - was founded in 1955 by Tom Merriman, who left in 1967 to start TM Productions with Jim Long. A year later, CRC closed. So enjoy! This jingle package starts off with a sound that will be familiar to anyone who has ever heard Pulse Beat News. It continues with numerous jingles - some generic, some custom-made.